I just saw this as I was getting ready to shut down for the day. How exciting for thisisoli. It’s nice to see a pic of everyone. Now we’ll be looking for a hub about this trip, thisisoli! How awesome! Glad you were able to swing by there, Oli! If I ever make it up that way I’ll be sure to stop in. If you guys ever want to open an office in Florida, though, you’ve got an employee right here! And Garrett and lakeerieartists (and Lisa, rebekah, and KCC Big Country too!) – do stop by if you’re ever in the area! Haha, I didn’t expect to see something like this up quite so quickly! 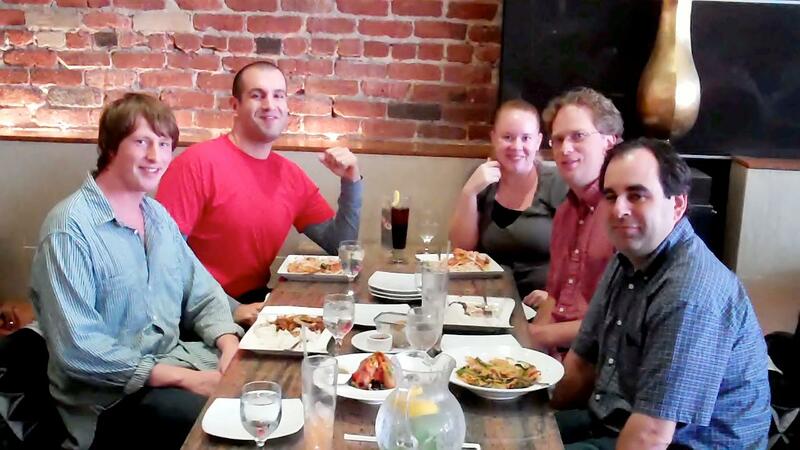 I had a great time in San Francisco and enjoyed meeting all the Hubpages team! I arrived back in to Austin at about 9PM last night and even at that time it was like walking in to a humid oven, especially after the brisk air of California! Wow, that looks a very Web 2.0 restaurant. Too much fun. 🙂 Haruko took the pic?